About the Upset Prevention & Recovery Training Assoc. The Loss of Control In-Flight (LOC-I) causal factor has posed one of the longest-term and most challenging threats to the safety of air travel in aviation history. Implementing effective mitigation of the LOC-I threat must be done with great care and under the supervision of LOC-I experts. Why? Unfortunately, statistical accident data and investigation demonstrates the instructional knowledge and skills necessary to address this persistent challenge exist outside the current framework of traditional licensing and type-rating requirements. In many cases, flight training providers are not even aware of their own lack of expertise and knowledge of how to address loss of control. It’s often stated ‘we’re doing pretty well already and get it right with our training so all this talk of loss of control in-flight training concerns doesn’t apply to our organization’. Regrettably, in many cases, that specific perception by both pilots and training managers is a significant part of why LOC-I continues to be the leading cause of fatalities and hull losses in commercial aviation worldwide. Based on industry developments in 2010 initiated by the Federal Aviation Administration, EASA, the Royal Aeronautical Society and other regulatory agencies worldwide, this non-profit international Upset Prevention & Recovery Training Association (UPRTA) was formed. UPRTA is managed by internationally-recognized upset recovery, stall/spin and advanced maneuver training experts. UPRTA’s stated mission is the promotion of industry-wide adherence to principles of enhanced upset/stall prevention and recovery training instructional practices and programs in commercial aviation training internationally. Within the goal of ‘doing no harm’, combined with a clear focus of reducing LOC-I, UPRTA is an indispensable resource to training managers, air carriers and regulatory agencies needing to ensure high-quality industry-approved standardized upset recovery training. Full compliance with the principles and teachings of the internationally recognized Airplane Upset Recovery Training Aid is just one of many crucial elements of a training provider’s standardization. 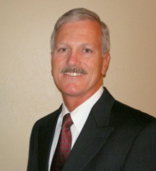 Mr. Brooks’ flight experience includes over 13,000 hours with type ratings in multiple turboprop and jet aircraft. His flying career began as an aerobatic instructor and airshow demonstration pilot for several civilian formation aerobatic demonstration teams performing throughout North America and the Caribbean. Mr. Brooks’ all-attitude maneuvering experience covers over 40 aircraft types including military and civilian jet aircraft, competitive biplanes and monoplanes, and sailplanes. As the Manager of Emergency Situation Training for Eclipse Aircraft Corporation, Randall provided Upset Recovery Training to over 100 company and customer pilots of the Eclipse 500 using the L-39 jet training aircraft. 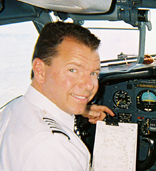 Mr. Brooks was largely responsible for a unique Upset Recovery Training requirement that applies to pilots type rated in the Eclipse 500 aircraft. 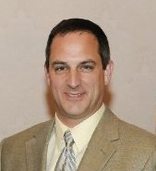 Randall served as the Team Leader of Training Matrix development for the International Committee for Aviation Training in Extended Envelopes (ICATEE). ICATEE is an organization comprised of experienced professionals representing a wide range of technical and operational backgrounds in aviation who worked on various strategies to lower the incidence of in flight loss of control accidents. After a 23-year Air Force career, Mr. Comtois became the Director, Aircraft Upset Recovery Training and Research, for the Environmental Tectonics Corporation headquartered in Southampton, Pennsylvania. He retired as Wing Commander, 111th Fighter Wing, and compiled nearly 3,000 hours in the F-16, A-10, KC-135, T-38 and T-37 aircraft. As a trained safety professional, he has investigated numerous accidents to include several in a combat environment. These experiences are a driving force in his effort to educate and train all members of the aviation community regarding Loss of Control In-flight. Paul is a 1986 graduate of Embry-Riddle Aeronautical University in Daytona Beach, Florida, and a 2004 graduate of the United States Army War College in Carlisle, Pennsylvania. Born the son of an airline captain, Clarke had aviation in the blood. From soloing a glider at age 14 to bouncing around grass strips in tailwheel airplanes to fighter combat missions over Iraq to instructing air combat maneuvers to training airline pilots in Boeing aircraft to teaching professional pilots upset recovery, Clarke has gained broad yet comprehensive skills needed to relate critical flight discipline to pilots of all experiences. Having trained well over 700 professional pilots in all-attitude edge-of-the-envelope maneuvering, his depth of understanding the needs in upset prevention and recovery training is unparalleled. As the Director of Training for Aviation Performance Solutions, his talents have been sought by the FAA and international working groups in an effort to develop strategies for mitigating the loss of control in-flight threat. His extensive experience and love for teaching professional pilots in upset prevention and recovery also inspired his collaborative work in forming the Upset Prevention and Recovery Training Association (UPRTA) on an international scale.